If you’ve never been skiing in Lech am Arlberg in the Voralberg region of Austria and you’re planning on heading out there for your next luxury ski holiday, you’ll definitely want to know some of the best restaurants in Lech to visit. I caught up with a couple of our chalet managers to get some of their personal favourites and top recommendations for your ski holiday to Lech. Fiona from Chalet 1551 and Thomas from Chalet Überhaus make sure all guests in their chalets have restaurant reservations secured and that they have best tables too. 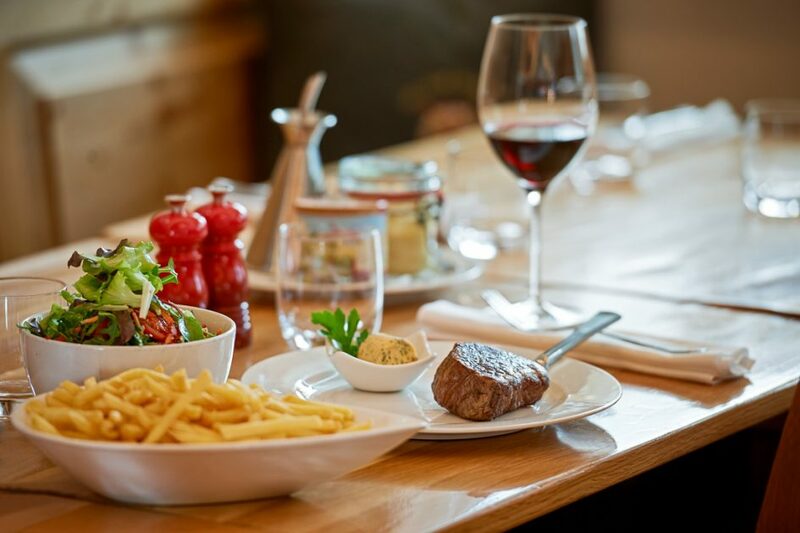 They have kindly provided us with a number of the best restaurants in Lech, on the slopes and the surrounding area that are guaranteed to get your mouth watering! 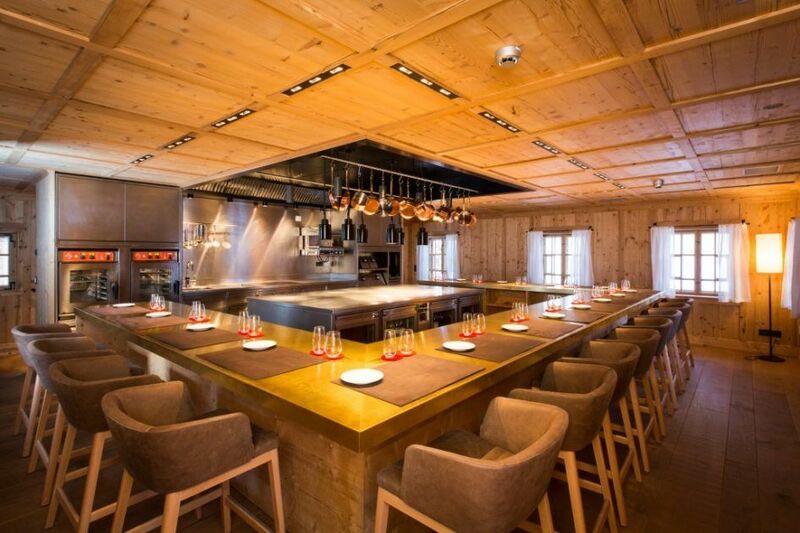 This gourmet restaurant in Burg Vital Resort in Oberlech, is one of Austria’s best restaurants. Chef Thorsten Probost got awarded as Austria’s best chef in 2016 and Griggeler Stuba was awarded 18/20 Gault and Millau points. 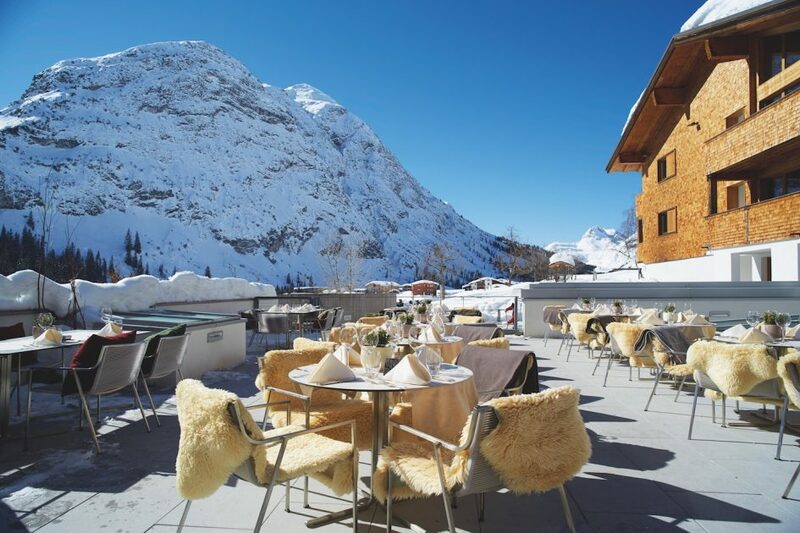 The restaurant is located just 150m walk from Überhaus and is right next to the ski slopes for very easy access. It can also be reached through the Oberlech tunnel system with the chalet owned electric car. The cuisine style is Austrian using organic products and there is a very good wine list with reasonable prices. The hotel has a very nice sun deck with amazing mountain views for a lunch time stop. At lunch they serve more traditional dishes but also in high quality. This is an amazing concept for culinary interested guests and offers very fancy dishes. It is not comparable with a normal restaurant as guests sit around the open kitchen in a group of 18. They serve one menu of around 19 courses with corresponding wines. 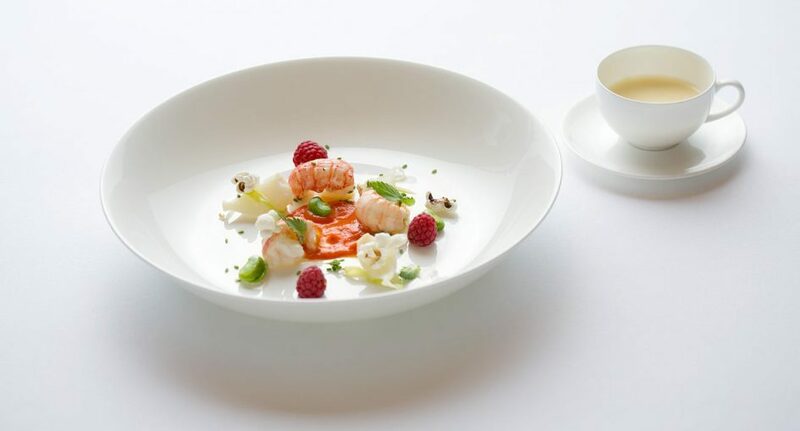 It is also in Gault Millau’s top ten restaurants list of Austria. The restaurant is just outside of Lech in the neighbouring village of Zug, and you can easily ski over there from Lech via the Kriegerhornbahn. Please note the runs down to Zug are off piste, so make sure to get a guide or make use of the Überhaus ski butler! Fux is Euro-Asian cuisine combined with Austria’s best wine list. Chef Reinhard Daucher and his team present you the best of two worlds, the combination of both always on the menu: sushi, maki and sashimi. Combine it with, for example, Burgundy’s back to the 1930’s or Bordeaux’s back to the 1920’s. This really is a must visit for all wine lovers. The sun terrace is really beautiful and the food is exceptional in Hotel Bergkristall – something for gourmet lovers and real foodies. They offer loads of amazing meats from the local butchers and also some amazing seafood, something for everyone. It is one of the best restaurants in Lech for lunch visits, but they can go long into the afternoon when the sun is shining. It is owned by family Wrann, who have been running the Hotel for a good while now and have a great reputation. Enjoy some of the best views of the Arlberg here too! As an absolute secret hot spot tip, I personally recommend Hagen’s Dorfmetzgerei in the centre of Lech. It is the butcher in Lech and they sell the most delicious meats and local specialities. In fact, they have got a back room and it is open during lunch time and in the afternoon. I would recommend the dry aged Porterhouse steak, with grilled corncobs or a Caesar salad – yum! They close at 7pm, so it is a recommendation for lunch or an unusual and very delicious “après ski”. You can go there in your ski gear which is great. I absolutely love the atmosphere of the backroom, and better still, it is a family-run business. If you are interested in visiting some of the best restaurants and you are looking for luxury ski chalets in Lech, we can highly recommend both Chalet 1551 and Chalet Überhaus of which you can see the details below. 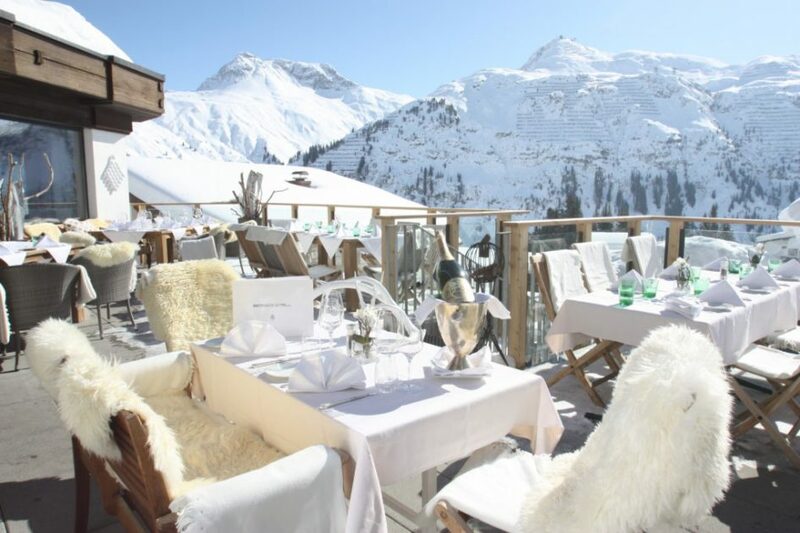 The dining at both of these chalets is of an extremely high standard, with chefs trained to the highest level, making them the finest catered ski chalets in Lech. 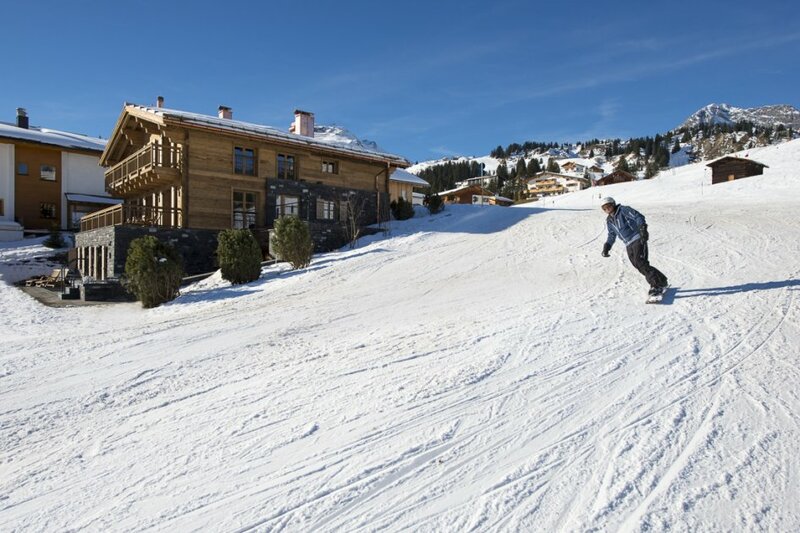 Chalet 1551 is now in its second year of operation and is going from strength to strength. 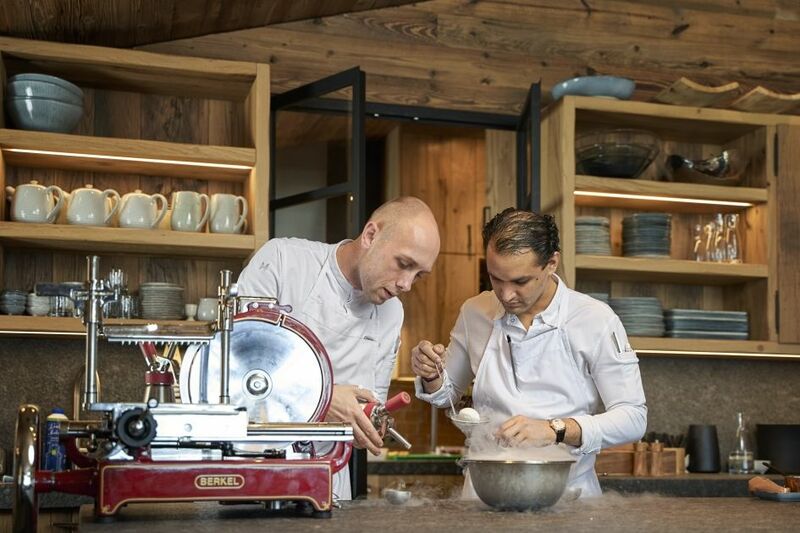 They have chefs who have held Michelin stars and now work together in this luxury ski in ski out chalet in Lech. New for this season, guests may book a seat at the chef’s table. When the chalet is not booked, outside guests may enjoy Chalet 1551 as a restaurant. The guests can call Fiona and book a seat at the table and have lunch at this beautiful chalet. There are just 12 seats, and they will put together a set menu offering the most delicious food. Chalet Überhaus has a very similar location to Chalet 1551, they are on the same blue slope, the 62, which runs from Oberlech into Lech. The food in Überhaus is also of a very high standard and the chefs pride themselves in sourcing the best local ingredients, some of which they have collected and handpicked personally over the summer months in preparation for the busy winter season. 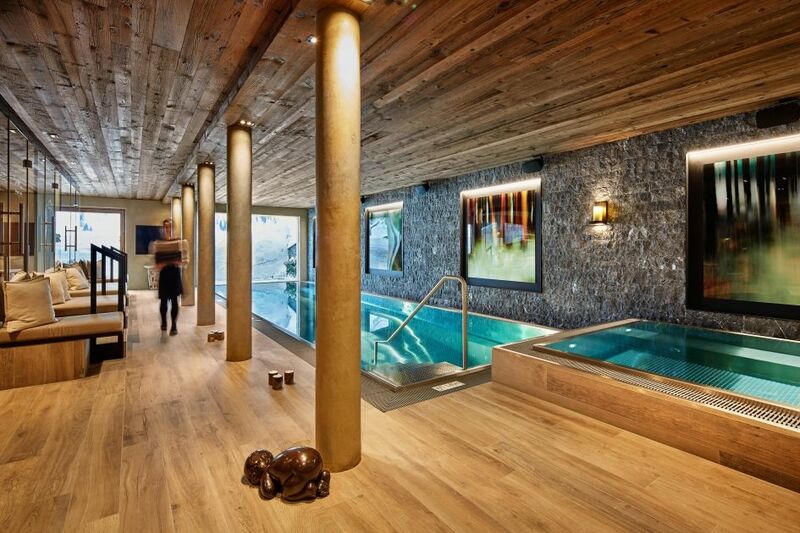 Überhaus can sleep up to 14 guests in 6 rooms, so is ideal for families looking for a luxury ski holiday in Lech. First of all, a huge thank you to Thomas and Fiona for giving up their time and some of their secret spots and top tips on where to dine in Lech. You may bump into them if you stop by one of the restaurants, you never know! If you’re keen to sample some of the excellent restaurants in Lech please do let us know and we will be happy to discuss them with you. As accommodation finding specialists, we also have a selection of luxury chalets in Lech which could be perfect for your holiday. You can get in touch with us by sending us an email or by giving us a call on +44 1202 203653.